Ah, the grey training pants… we’ve all seen them at the gym, and we know what they do and what they show, right? 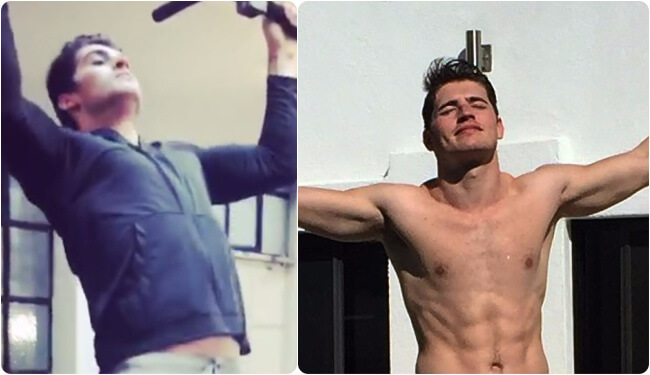 Apparently, actor and model Gregg Sulkin never learned that lesson (or maybe he did…), as a video he posted of himself working out in those pants, drew all of the attention to a certain… bulgy part. Gregg Sulkin, the 25-year-old British actor first got his fame on the Disney Channel, but was recently been cast to the upcoming Marvel TV series The Runaways. He’s also a model, as his good looks clearly show.